Stamford is one of the great towns near Greenwich CT, with such attractions as the Palace Theatre in Stamford, the Avon Theatre in Stamford, and even some great dining and pizza. This past Saturday, the 16th of August was the start of Stamford Restaurant Week! The major difference between restaurant weeks elsewhere and in Stamford is that this actually continues until September 1st! So it’s more like a Restaurant Half-Month, but that would be getting too technical. Diners care about good deals, not semantics. For those unfamiliar with the concept of a Stamford Restaurant Week, it’s a period in which participating restaurants offer prix-fixe menus for a good deal in order to draw new diners in for a taste. Their hope is that visitors will be so entranced with their meal that they’ll keep coming back. That being said, there’s of course no obligation to come back, whether it’s delicious or no. That means they welcome all takers, both locals and visitors from elsewhere! The price ranges for the lunch menus are $10.14, $12.14, or $20.14, while dinners are $15.14, $20.14, or $30.14. 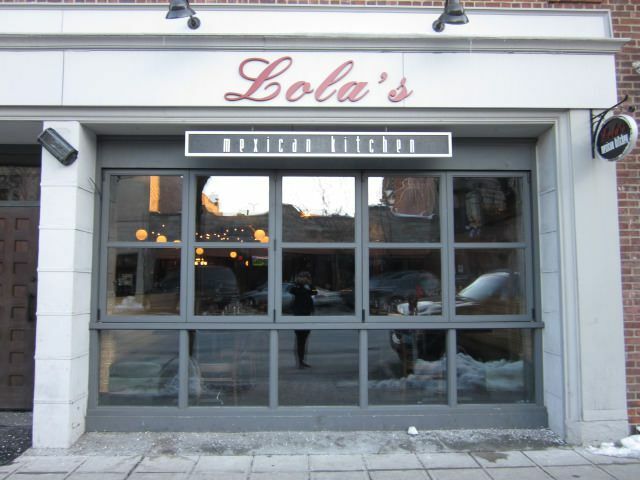 Lola’s will be one of the restaurants participating on Bedford Street in downtown Stamford. Some favorite restaurants on the list for Stamford Restaurant Week include Capriccio (which has an amazing outdoor seating area right on Bedford Street in downtown Stamford), Cask Republic (on Summer Street), and The Fez (a Morroccan restaurant, also on Summer Street), but there are plenty of other restaurants to check-out! Some other highlights of the year include each restaurant serving-up a Signature Summer Cocktail and offering a healthy lunch to children under 12 years of age for $6.95 and a dinner for $9.95 at participating restaurants (a full list of which you can find here. Diners can also receive a BOGO Coupon (Buy one General Admission Ticket, get one free, plus two medium popcorns, expires on September 30th) at the Avon Theatre Film Center on Bedford Street! Seriously, what is there not to love about Stamford Restaurant Week? We at the Stanton House Inn know where we’ll be the rest of the month, hopefully we’ll see you there, or at least here! And for more recommendations on things to do in Greenwich, be sure to download our free Vacation Guide!